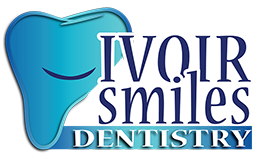 Our services are designed to improve the long-term oral health of individuals and their families. All of our recommendations are made with your short and long-term health goals in mind. We make a point to listen to our clients’ concerns, and will help you find the best treatment for your health and budget. Our promise to our customers is to provide you with caring, wholesome family dentistry that will make you proud of your decision to visit an oral health professional. Dr. Tabue is the head dentist of our practice. He attended dental school in three different continents, and has dedicated his life to helping dental patients around the world feel and look better. The Dr. encourages patients to ask questions about their dental health, and actively teaches clients about preventative care so they can avoid painful, costly complications. Whether you need a dental plan for yourself or your family, our Virginia family dentistry services will make you happy to have selected our office as your dental care provider. We honor your time, which is why we make our “New Patient Forms” available online. By filling out these documents at home, you can reduce the amount of time you spend in our office. We understand that being flexible is important to our patients. If it’s due to a change in employment, relocation or any other insurance change, we aim to accomadate all of our patients by accepting most major insurance in our office. Please contact our staff to find out if we accept your insurance. Looking for something specific? See our comprehensive list of services by clicking below. Ready to pay us a visit? We’re currently accepting new patients and would love to see you. Click on the appropriate link below to complete a secure, online health history questionnaire. If you’d rather print your form to complete it by hand, click on the appropriate links below.